PS4, Xbox One, Nintendo Switch, and PC versions of the Phoenix Wright: Ace Attorney Trilogy will launch on the 9th April, Capcom has revealed. Available for the not unreasonable price of $29.99, the Phoenix Wright: Ace Attorney Trilogy brings together updated versions of the first three games in the delightfully over the top series of visual novels in a single, easy to digest package. That’s Ace Attorney, Justice for All, and Trials and Tribulations. Both greenhorns experiencing their first day in court and veterans who can tell the difference between a ladder and a step-ladder will be able to enjoy the early days of Phoenix Wright in this bundle of games, complete with a modern UI and other improvements for current consoles. 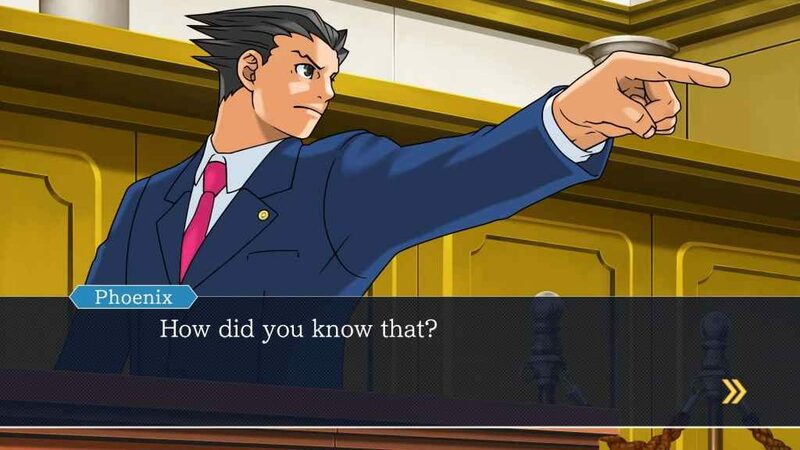 Everything you know and love about Ace Attorney is here, including the characteristic investigations, courtroom antics, updated autopsy reports, and zany cast of characters that define everything that these games are known for. Phoenix Wright: Ace Attorney, the very first game in the long-running series, released way back in 2001 and follows our eponymous hero during the early days of his career as a defence attorney. Which, after successfully defending his childhood friend from accusations of murder, sees the young hotshot lawyer become embroiled in a mystery “years in the making”. Justice for All picks up right where Ace Attorney left off with Phoenix Wright, now a rising star in the legal world, facing his toughest challenge yet: an equally gifted prosecutor who seems hell bent on bringing him down. Fortunately, Phoenix has not only his friends, but also the powerful Pysche-Lock system to help him bring ne’er-do-wells to justice. Rounding off the Ace Attorney Trilogy is Trials and Tribulations. A prequel to the preceding games, Trials and Tribulations puts players in the shoes of Mia Fey as she defends a young art student by the name of Phoenix Wright in a case that sets the stage for the rest of the game and “bridges the gap between the past and present for both Phoenix and the Fey family”.